"Please note that Opera and Opera mini are not currently supported by us." @rafiki At least in part, probably because the chromium engine (upon which the latest Chrome (v70) and Opera are based) precludes using Flash, and Flash appears to be required for using that site. Didn't I see an extension for playing flash? @Ceedee Went to the address and it only appears to play 'live on air', but not catchup where it doesn't want to know! Strange! 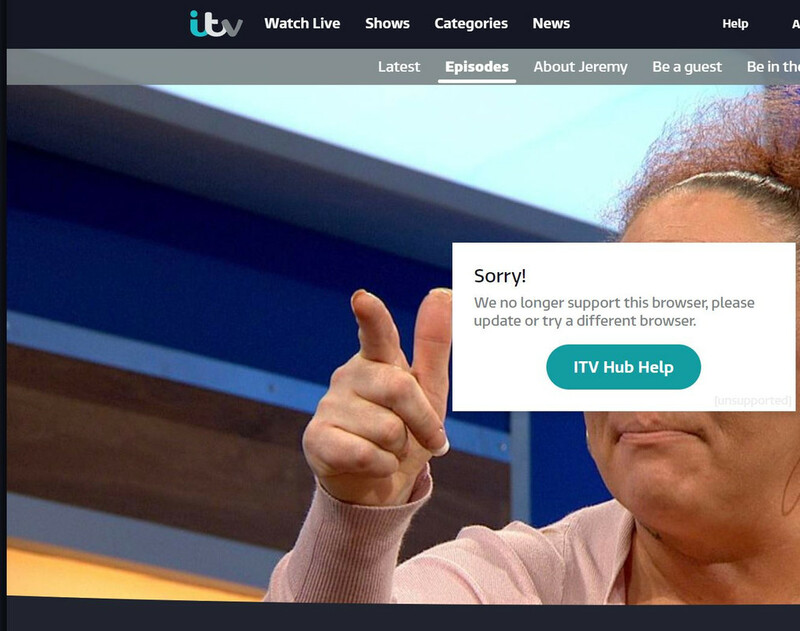 You need to disable Opera VPN when on the ITV hub player.